^ Whats going on here? Why can't I log in? Ur banned ; try as anon if not y banned. For what? I didn't do anything. I can log in as anon. If it's a device ban, why can I still log in as anon? He's just messing with you. I highly doubt you've been banned. I tried logging in about an hour and a half after you posted this and did so successfully. Try logging in now. Chances are you had a bad connection at the time. When I woke up I could not log in. I could not log in all day on that ipod. The funny thing is, I could log in on my other ipod the hole time. I had that problem on October 15th. Now its November 15th and Im having the same problem again. 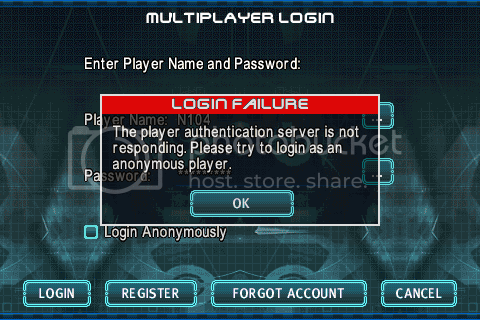 My ipod will not let me log in. Why is this happening again?! Still can't log in under 1g ipod and its been 24 hours. Now its working again! This is so annoying. Why is my post being deleted? Your letting n104 post spam on this topic but you won't let me post. This probley only happened one time to him. Again why are my posts being deleted? ahahahah spam lol. How can it be spam? Theres a problem here and it's not because my ipod is jailbroken because I tried unjailbreaking it and that did not fix the problem. It keeps working and not working and its really annoying. This probley only happened one time to him. Actually ive had this problem several times.